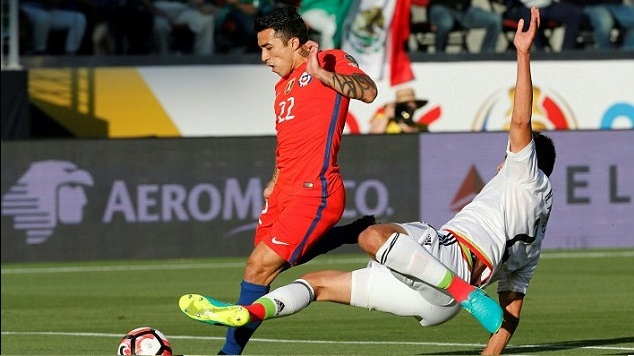 Chile are set to take on Mexico in the quarterfinal game this Saturday night at the Levi’s Stadium in SANTA CLARA. Mexico qualified as group C winners having won 2 and drawn 1 against Venezuela. Chile on the other hand made it the hard way finishing behind Argentina but not as convincing as it should have been. They conceded 5 goals in the 3 games and scored 7 including that 4-2 win over panama in the last game. Chile vs Mexico is the most competitive game of the four quarterfinals and the winner of this game will be facing Colombia or Peru depending on that game’s result. Chile started the tournament with a defeat against Argentina while they barely got past Bolivia in the second game when injury time penalty earned them first win of this year’s competition. In the last game however they produced best performance coming from behind to beat Panama and sealing their qualification to knockouts. 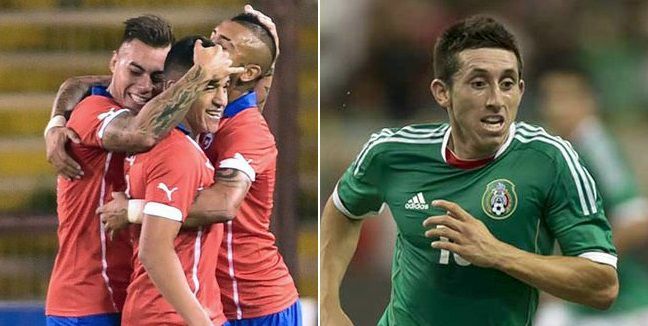 Sanchez and Vidal will be key for Chile as both found form in their last game against Panama. Mexico on the other hand has looked very strong both in defense and going forward after their 1-1 draw in the opening game they produce two superb performances beating Jamaica 2-0 and sealing their qualification with a thumping 3-1 win over Uruguay. Possible Starting lineups: Chile will start with their usual full strength side Pinilla to play upfront with Sanchez, Vargas, Aranguiz, Vidal and Diaz to start in packed midfield. 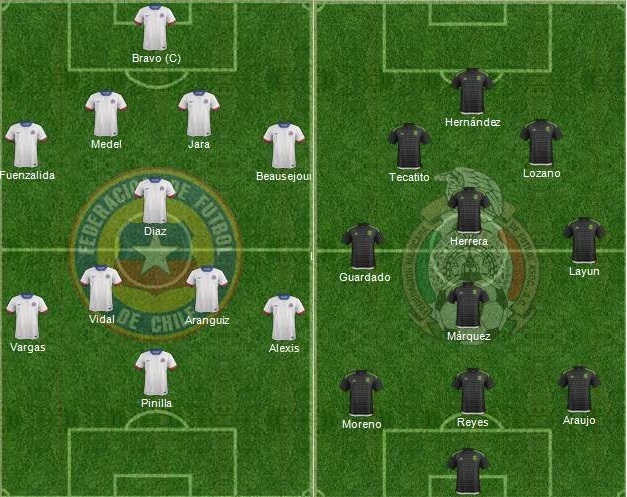 While Mexico are likely to keep their 5-4-1 formation where Hernandez to start upfront while Lozano, Tecatito to support him in attack. This is how I expect both teams to lineup on Saturday night. Last time these two meet was back in Copa America 2015 group stage where the produce a 3-3 thriller. Mexico has improved since than I expect it to be a very tight game. 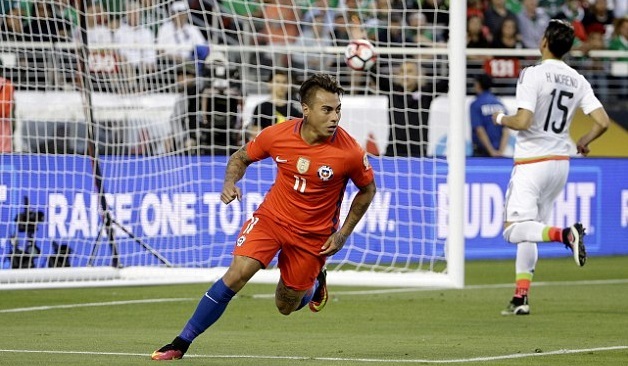 Predictions: Chile’s 4-2 win over Panama will put alot of beleif in the players specially both Vargas and Sanchez who broke their goalless stream snatching two goals a piece. Mexico on the other hand rested a few players against Uruguay and will be slightly more fresh. I am going with a Chile win in this one, I just think they have too much quality upfront which will eventually break down Mexican defense. Chile es el padre de Mexico, toda la vida.